Electricity makes stuff work. But what makes it work? Light bulbs. Batteries. Power. Circuits. Check it out! A wonderfully engaging book which makes science really simple, including easy examples and a handy glossary. 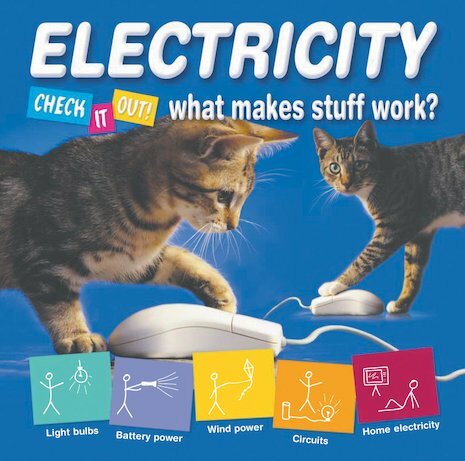 There are adorable animal pictures, fun diagrams to draw and new science words to learn – all supporting the school science curriculum too.